Clothing treated with the insecticide permethrin has strong toxic effects on three types of ticks known to be major carriers of disease, new research finds. A series of experiments conducted by researchers at the U.S. Centers for Disease Control and Prevention (CDC) showed that exposure to clothing treated with permethrin caused ticks to fall off or interfered with their ability to bite. Lead researcher Lars Eisen says the new study adds to evidence that garments treated with permethrin may act as an effective tick repellent. 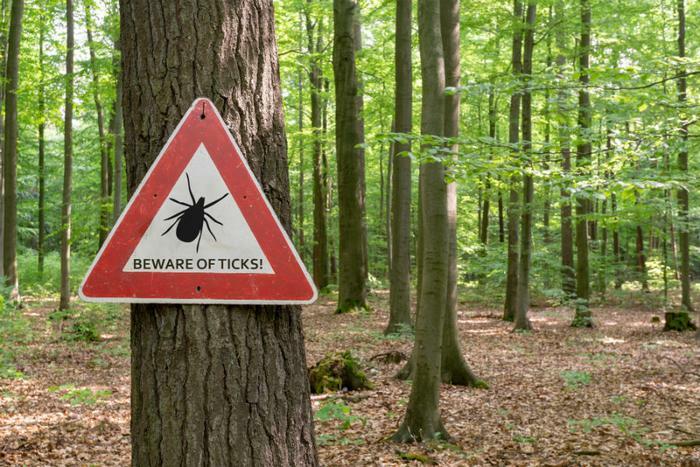 “We also found that sustained contact with permethrin-treated clothing—up to 5 minutes—resulted in loss of normal movement for all examined tick species and life stages, leaving them unable to bite,” Eisen added. The effect was strongest on blacklegged tick nymphs (babies) -- 100 percent lacked normal movement one hour after being exposed to permethrin-treated clothing for one minute. The same effect was seen in 86 percent of lone star tick nymphs, 62 percent of blacklegged tick adult females, 18 percent of American dog tick adult females, and 2 percent of lone star tick adult females. A five-minute exposure to permethrin-treated clothing (the researchers used clothing made by Insect Shield) led to loss of normal movement for all ticks of all three species and life stages for at least one hour. For the study, the investigators used insecticide-infused swatches of fabric. A larger study, with people wearing treated clothing outdoors, is needed to determine whether permethrin-treated clothing stops ticks from biting people. Eisen says future studies will seek to determine how long various permethrin treatments last over time, wash cycles, and wearing conditions. “Ultimately, we’d like to be able to provide more specific guidance about the use of permethrin-treated clothing, including what types of clothing provide the best protection. Additional research in this area can improve public health recommendations,” he says. Another recent study by the CDC found that tick-borne illnesses are on the rise and occurring in an increasingly wide area. To prevent tick bites, the CDC already recommends permethrin-treated clothing and gear, such as boots, pants, socks, and tents. Products should contain 0.5 percent of the pesticide. Avoid wooded and brushy areas with high grass and "leaf litter"
The study has been published in the Entomological Society of America’s Journal of Medical Entomology.